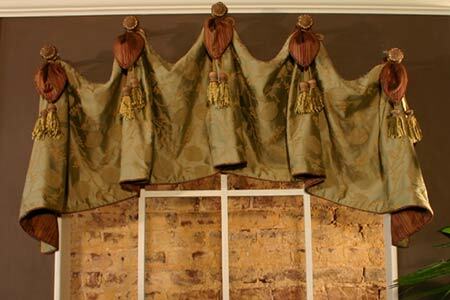 This fully lined, valance trimmed with piping can be adapted to fit arch windows. 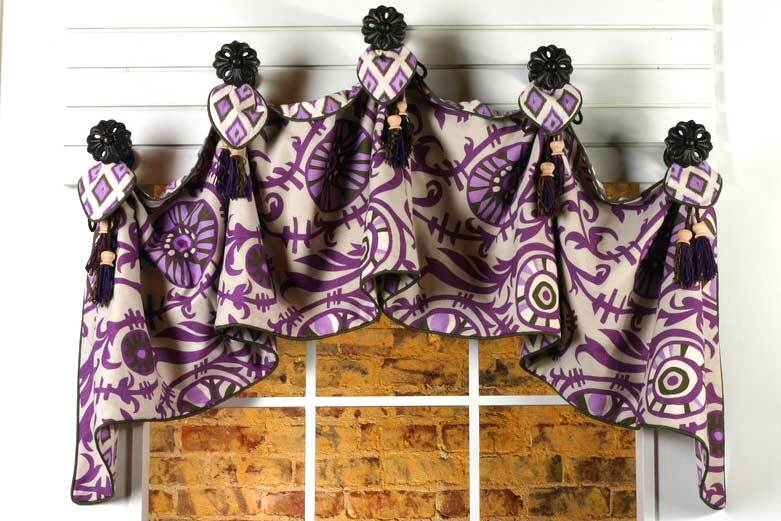 This valance could be used on eyebrow and elliptical shaped windows also. 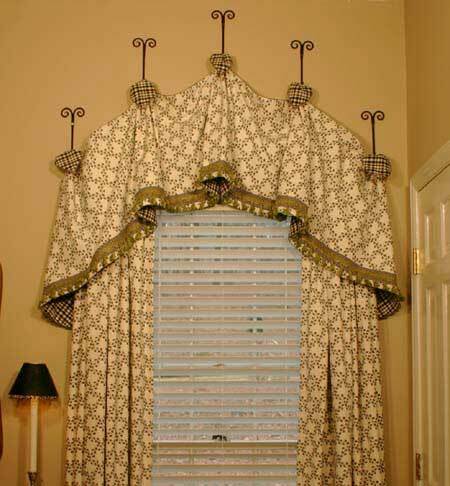 It can even be hung straight across, if desired. 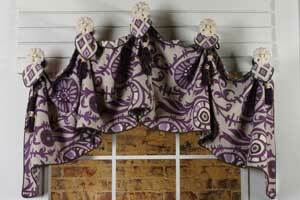 The valance can be attached to the wall using knobs and post adapters. You can use simple wardrobe hooks as an alternative. 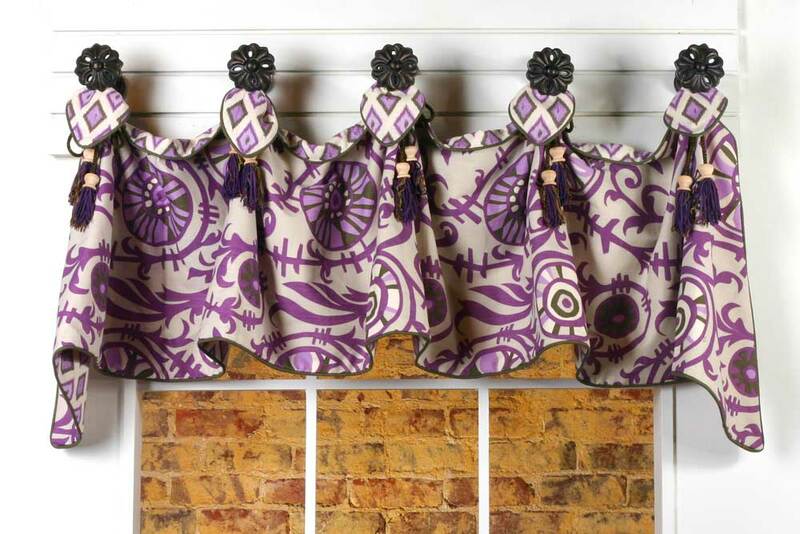 The gathered horns on our valance are tied chair-tie tassels. However raffia or ribbon could be used. 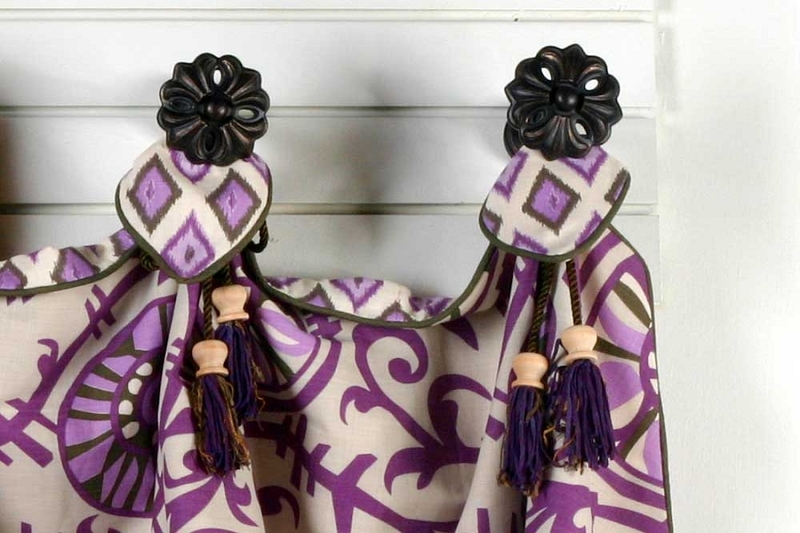 Click here to see a tutorial on How to Make Your Own Tassels. Q: What notions, supplies do we need for this Haley valance? Q: Do you give instructions for adjusting this to my window size? Q: Do you have a pattern that would be suitable for a set of windows that include 1 regular window and an eyebrow window on each side. There is a space of about 6 or 8 inches in between each window and they are all the same width. Would like to use the knobs? 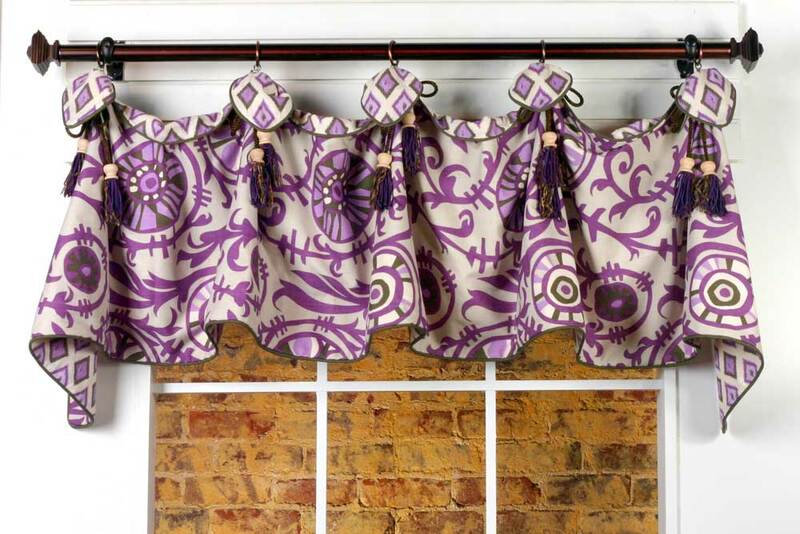 Q: Hello, can you tell me what kind of posts are used to make the valance project out and how they are installed? 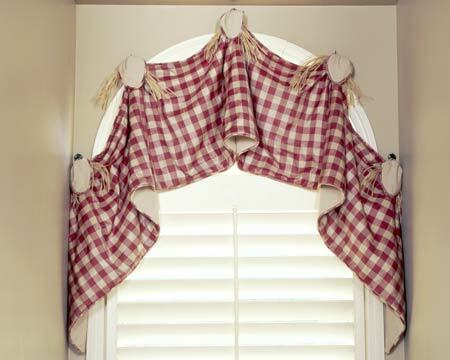 A: We install the Haley on an arch window using our posts and knobs. We have two styles of posts. 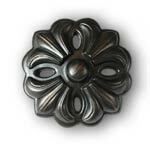 Our original style can be seen in this video http://www.patemeadows.com/Curtain-Hardware_c_41.html. The new version which is much easier to install can be viewed here http://www.patemeadows.com/Finial-AdapterPost-Extender-375-Projection--NEW-IMPROVED-STYLE_p_278.html.